Basic Rabbit grooming consist of clipping of nails, paw pad and sanitary shave, ear cleaning, powder bath and brushing of the fur. Just like other pets, they also need your love and affection. Proper grooming help them to stay in the best health and mind. Often rabbit grooming starts with the work like clipping of the nails and shaving of the paw pad and sanitary areas. Our groomer usually starts with clipping of the nails. Long nails will get caught in between cages and often cause them to break. After that we will check the bottom portion of the rabbit. Usually the paw pad will be shaved. The sanitary area will be cleaned as urine and drooping often get stained in these areas. If the ears need cleaning, then we will proceed to check them first if they are not dirty as rabbit’s ears are very sensitive. 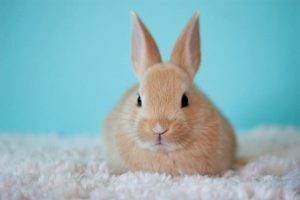 Rabbit get a powder bath, as it is not recommended to give them wet baths. These creatures need to be brushed in a professional way that will not hurt their skin. Keep in mind that rabbits are very good at grooming by licking themselves. Dead fur is removed through brushing. It helps prevent them from getting hairballs, if they ingest too much fur from licking. Excessive licking can also cause matting and clumping of the fur. When you take care of the fur as well as skin of the pet, you can easily see whether or not the parasites are there or you can also trace any skin problems on their body. Grooming is necessary for Rabbits. Hiring our rabbit grooming service can also help you to find necessary treatment which is required to keep your pet in the best shape.